If you’re a regular backer of Kickstarters, you’ve probably seen some unique crowdfunding projects in your time. But one thing all of those campaigns—boringly!—had in common was: They abided by the physical laws of the universe! HELP FUND MY ROBOT ARMY!!! is an anthology of science fiction/fantasy stories told in the form of fictional crowdfunding project pitches, using the components (and restrictions) of the format to tell the story. This includes but is not limited to: Project Goals, Rewards, User Comments, Project Updates, FAQs, and more. The idea is to replicate the feel of reading a crowdfunding pitch, so that even though the projects may be preposterous in the real world, they will feel like authentic crowdfunding projects as much as possible. 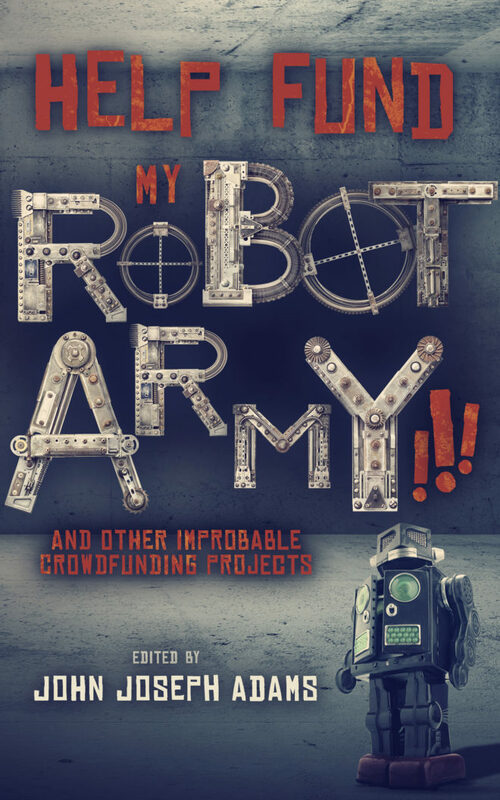 So if what you’ve always been looking for in a Kickstarter—and couldn’t find—was a project that allowed you to protect yourself from spoilers, buy wishes, find lost objects, or support a wildlife preserve for supernatural creatures, then HELP FUND MY ROBOT ARMY!!! & Other Improbable Crowdfunding Projects may be just the thing you’ve been looking for. The weird western is the forefather of steampunk, with a history that includes Stephen King’s Dark Tower and Card’s Alvin Maker. But where steampunk is Victorian, weird westerns are darker, grittier; in a weird western, the protagonist might be gunned down in a duel, killed by a vampire, or confronted by aliens on the streets of a dusty frontier town. 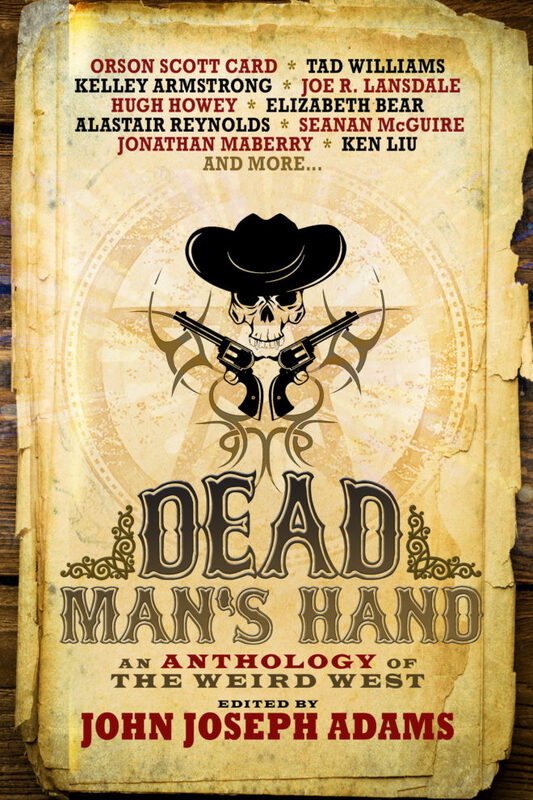 In Dead Man’s Hand editor John Joseph Adams has produced an anthology that includes stories from many of today’s most talented authors, some new to the genre and others well-known to readers. The twenty-two original works—produced specifically for this volume—range from a brand new Orson Scott Card tale (his first “Alvin Maker” story in a decade), to an original adventure by Fred Van Lente (creator of Cowboys & Aliens). It also includes stories such as Elizabeth Bear’s story of a steampunk bordello, and new writer Rajan Khanna’s exploration of sorcery found in a magical deck of playing cards. Humans beware. As the robotic revolution continues to creep into our lives, it brings with it an impending sense of doom. What horrifying scenarios might unfold if our technology were to go awry? From self-aware robotic toys to intelligent machines violently malfunctioning, this anthology brings to life the half-formed questions and fears we all have about the increasing presence of robots in our lives. With contributions from a mix of bestselling, award-winning, and up-and-coming writers, and including a rare story by “the father of artificial intelligence,” Dr. John McCarthy, Robot Uprisings meticulously describes the exhilarating and terrifying near-future in which humans can only survive by being cleverer than the rebellious machines they have created. 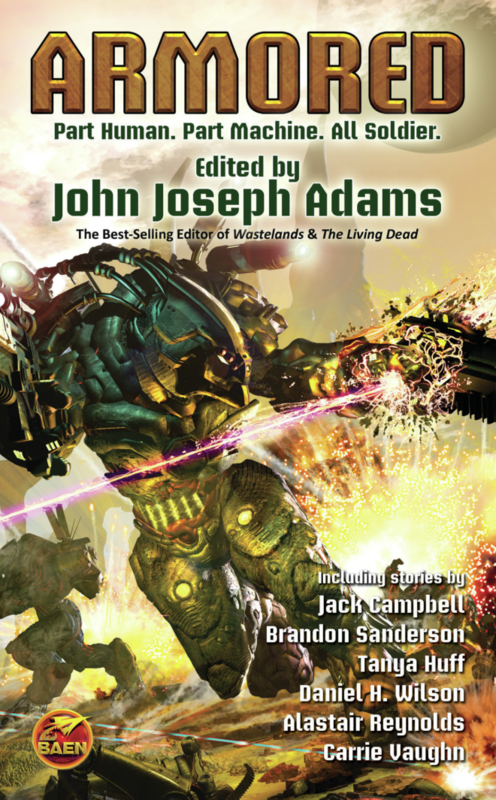 At the helm of this project are Daniel H. Wilson—bestselling novelist and expert in robotics—and John Joseph Adams—bestselling editor of more than a dozen science fiction/fantasy anthologies. 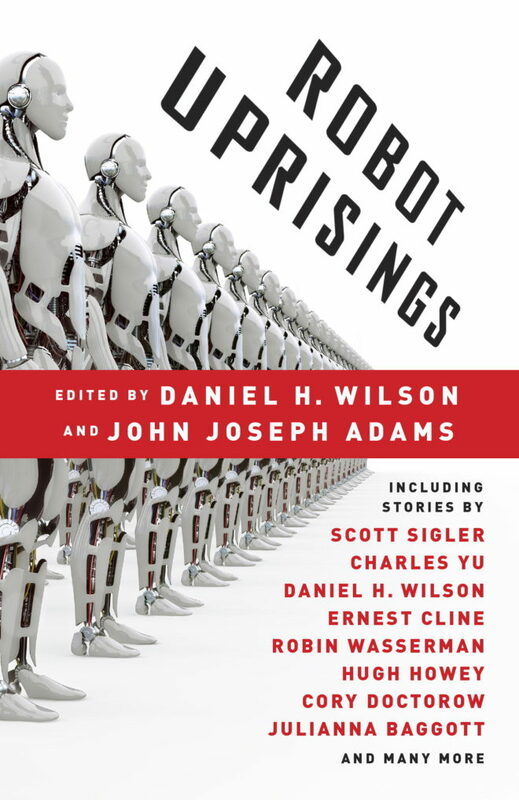 Together, they have drawn on their wide-ranging contacts to assemble a talented group of authors eager to attack the topic of robot uprisings from startling and fascinating angles. All original, all nefarious, all conquering tales from the megalomaniacal pens of DIANA GABALDON, AUSTIN GROSSMAN, SEANAN McGUIRE, NAOMI NOVIK, DANIEL H. WILSON and 17 OTHER EVIL GENIUSES. There is a sickness in the land. Prophets tell of the fall of empires, the rise of champions. Great beasts stir in vaults beneath the hills, beneath the waves. Armies mass. Gods walk. The world will be torn asunder. Epic fantasy is storytelling at its biggest and best. From the creation myths and quest sagas of ancient times to the mega-popular fantasy novels of today, these are the stories that express our greatest hopes and fears, that create worlds so rich we long to return to them again and again, and that inspire us with their timeless values of courage and friendship in the face of ultimate evil—tales that transport us to the most ancient realms, and show us the most noble sacrifices, the most astonishing wonders. 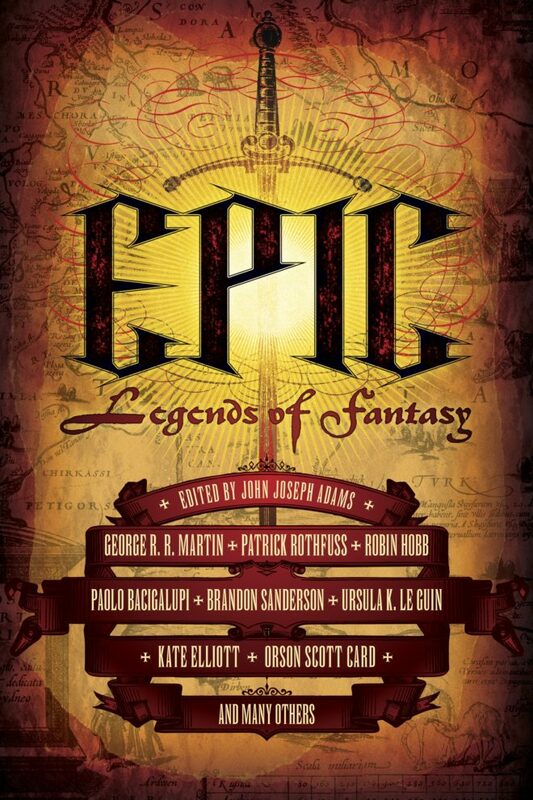 Now acclaimed editor John Joseph Adams brings you the best tales set in the most popular settings of today’s leading authors of epic fantasy. Return again to lands you’ve loved, or visit magical new worlds. Victory against the coming darkness is never certain, but one thing’s for sure—your adventure will be epic. We can all imagine such “other worlds”—be they worlds just slightly different than our own or worlds full of magic and wonder—but it is only in fiction that we can travel to them. 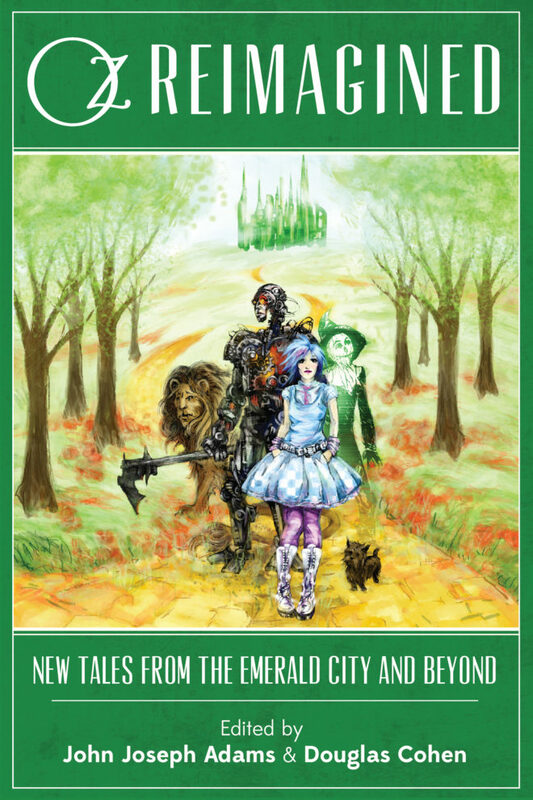 From The Wizard of Oz to The Dark Tower, from Philip Pullman’s The Golden Compass to C. S. Lewis’s The Chronicles of Narnia, there is a rich tradition of this kind of fiction, but never before have the best parallel world stories and portal fantasies been collected in a single volume—until now. Decades ago, Starship Troopers captivated readers with its vision of a future war in which power armored soldiers battled giant insects on hostile alien planets. Today, with the success of Iron Man, Halo, and Mechwarrior—and with real robotic exoskeletons just around the corner—the idea of super-powered combat armor and giant mecha has never been more exciting and relevant. Imagine power armored warriors battling at the bottom of the sea, or on nightmarish alien worlds, or in the darkest depths of space. Imagine armor that’s as smart as you are, armor that might keep on fighting even after you’re no longer willing… or able. The possibilities are endless, but some facts remain constant: The soldier of the future will be fast. The soldier of the future will be deadly. The soldier of the future will be ARMORED. Readers of all ages have read and loved Edgar Rice Burroughs’ Mars series since the first book, A Princess of Mars, was published in 1912. Fans have marveled at the adventures of John Carter, an Earthman who suddenly finds himself on a strange new world: Mars. 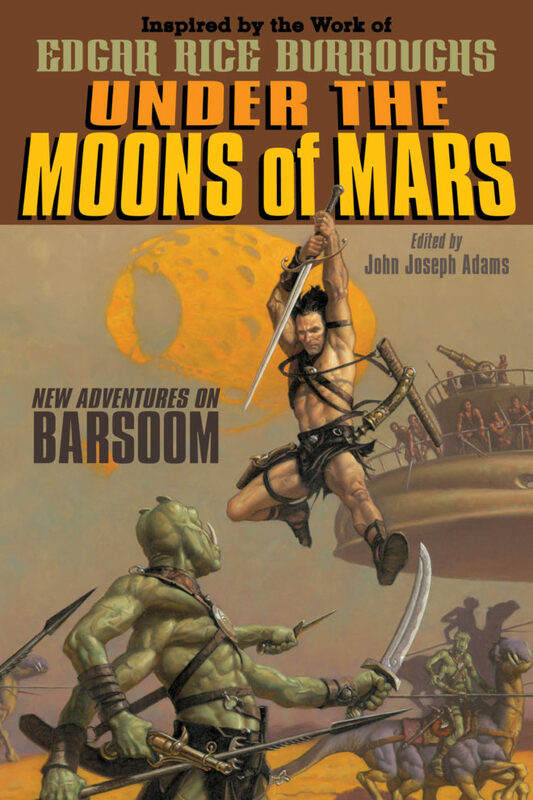 Now, in time for the 100th anniversary of that seminal work and the release of a Disney feature film, comes an anthology of original stories featuring John Carter of Mars, in brand new adventures. 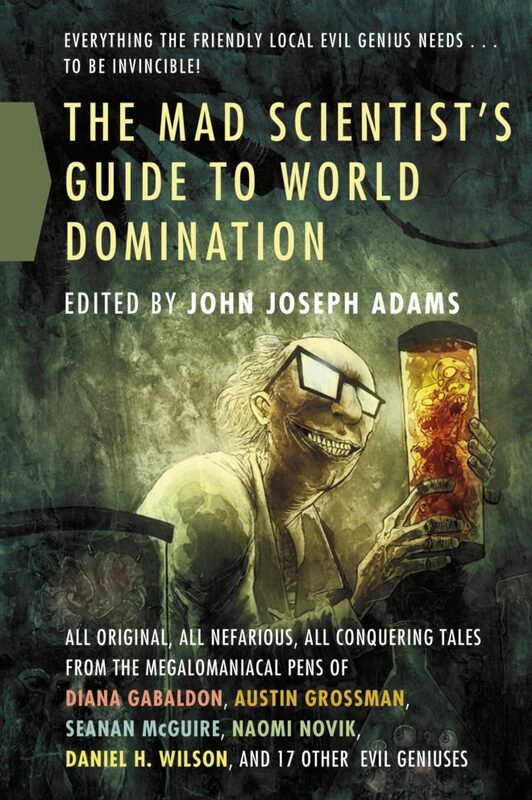 Collected by veteran anthology editor John Joseph Adams, this anthology features a forward by Tamora Pierce, stories and original art from titans of literature and illustrations such as Peter S. Beagle, Garth Nix, Charles Vess, and many more, plus a glossary of Mars by Richard A. Lupoff. 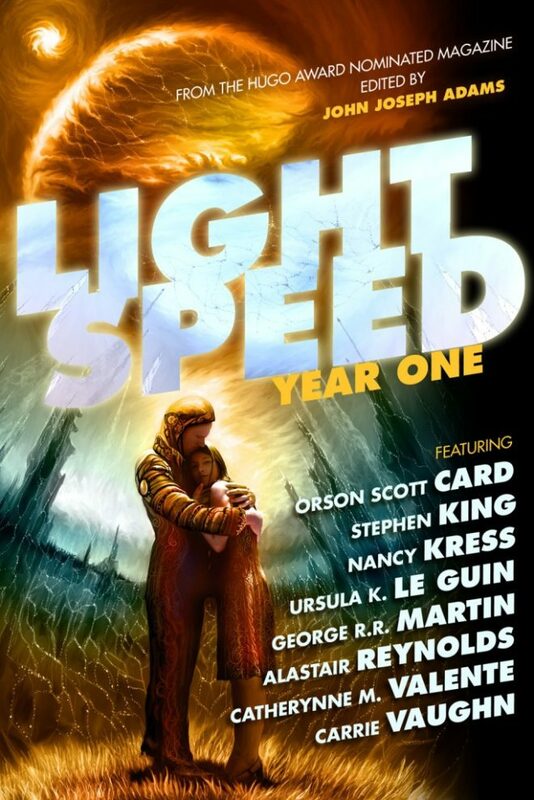 Lightspeed: Year One compiles all the fiction published by Lightspeed in its first year. 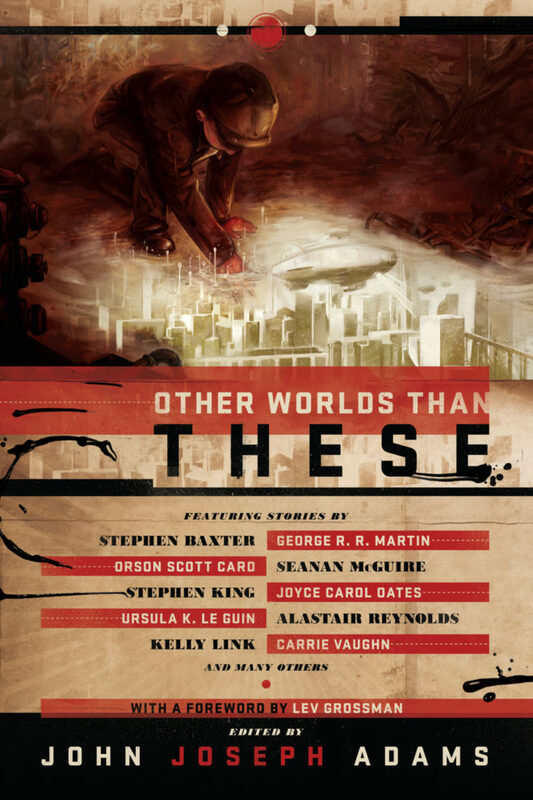 Stories include Nebula Award finalists Vylar Kaftan’s “I’m Alive, I Love You, I’ll See You in Reno” and Adam-Troy Castro’s “Arvies” as well as Carrie Vaughn’s Hugo Award-nominated “Amaryllis.” Plus, there are classic stories by Stephen King, Ursula K. Le Guin, George R. R. Martin, and more. The popular, critically-acclaimed Lightspeed is edited by bestselling anthologist John Joseph Adams. Lightspeed publishes all types of science fiction, from near-future sociological soft sf to far-future star-spanning hard sf—and everything in between. Each month, Lightspeed features a mix of original and classic stories, from a variety of authors, showcasing the best new genre voices along with bestsellers, award-winners, fan favorites, and notable authors readers already know.